Group Discussion Ideas > Current Affairs GD Topics > E-Commerce – Sustainable business model? The competition among the players of e-commerce also keeps on leveling up day by day. With this drastic development of online buying and selling, the question of sustainability of the business model of e-commerce remains. Big online companies are investing heavy amounts on the e-commerce players. 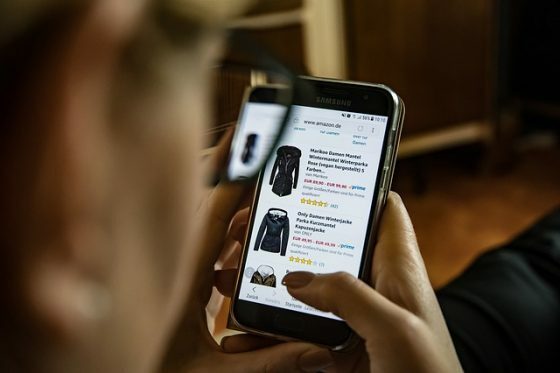 Research on e-retailing says that there is ample of space left to explore in the e-commerce division; the e-commerce does not seem to get hampered as far as investors are investing. India has a high potential of sustaining the e-commerce business. The Indian e-commerce is constantly on a rise in its part as more and more investors from foreign land shows up for investing. With the tech-swayed generation and the wildfire of the internet, mobile phones, smartphones, tablets and other such electronic gadgets, e-commerce is now a long run player in the present business model. A new dimension in business will mean that more jobs and employments. A recent HSBC report pointed out that e-commerce alone could create 12 million new jobs over a decade. Thus, e-commerce has to be a sustainable model for the people to get paid off. E-commerce provides a relief to the e-retailers from TV ads and gives shelter in online ads which are also more vastly approachable to the new shoppers and gain credibility. As the current business model is not very smooth and sustainable, there may come a time when focus of e-commerce players would shift to other issues like customer segmentation for more profitability issues. A few companies launch strategies of discounting and heavy spending on advertisements for the profit factor. Instead of profits, they have been facing huge losses due to these factors. The loss-making discounting strategy of e-commerce companies has been affecting the entire retail sector. In spite the high revenues being reported by most of the major e-retailers, some of them face big loses monetarily. Companies like Snapdeal, Flipkart & Jabong too are constantly facing losses. These massive losses show that better and stronger business models are required to be framed to carry on with e-commerce. In the last couple of years, e-commerce has been developing rapidly. It has given a completely new dimension to a customer. The e-commerce companies are striving and competing against each other to give better experiences to customers as well as manufacturers. The business models also keep developing along with the other factors related to e-commerce for an overall upliftment in the business. I am supporting the sustainability of E-commerce business model because now a days Narendra modi has set a goal to bring FDI in retail and online sector.So that we will get the investor as well and as the investors are investing in online business the E-commerce business model will grow up immensely. True! More investments are on the way. But can the present e-commerce business model be able to generate profits in the long run?